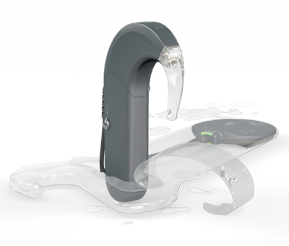 All of the processors have a splashproof rating which is at least as waterproof as modern hearing aids, and in some cases they are considerably more splashproof. 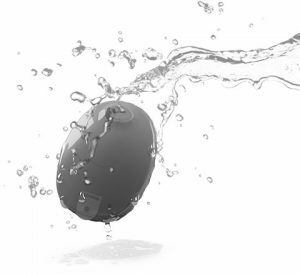 However, none of the processors is, by itself, completely waterproof enough to go swimming without a special cover or waterproof coil (with the exception of the Neptune). All three manufacturers have water wear options for their speech processors. 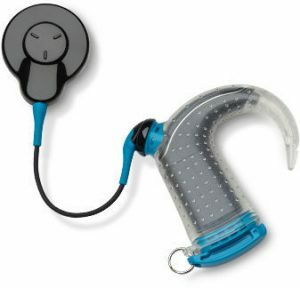 These allow you to hear while swimming, bathing and taking part in water sports. Please note that some of the water wear accessories are not provided free of charge in your speech processor kit but they can be purchased directly from the manufacturer. Check What’s in the kit? This product is designed for the AB Naida Q90 processor. 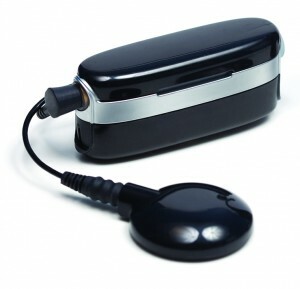 This product is designed for the Cochlear Nucleus 7 CP1000 processor. This product is designed for the MED-EL SONNET processor. The AB Neptune processor is waterproof without using an additional water wear accessory by changing to the waterproof Aqua Head Piece. 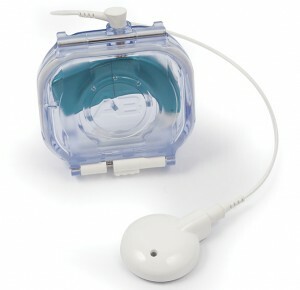 This product is designed for the Cochlear Kanso. It can be worn with either a headband or attached to the strap of swimming goggles. This product is designed for the MED-EL RONDO 2 processor.